See you again soon Vancouver! Always enjoy DJing for the scene out there. And also eating at Guu Garden lol. 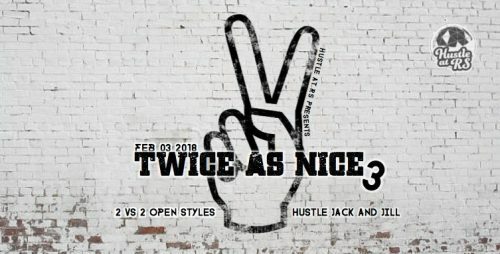 Twice as Nice is first and foremost a celebration of street dance communities. Although there is a battle component, the emphasis is placed on bridging communities by providing an environment that promotes party and exchange. Twice as Nice recognizes communities are not built on battles alone, but through a combination of formal and nonformal social interactions. Hustle has been an example of bridging communities so it is only natural that we provide a platform for our Hustle community to grow.